Former President of India Pranab Mukherjee felicitated some of the significant achievers of the nation, who have carved out a niche for themselves in different fields of life. Before the distribution of awards, Harshavardhan Neotia, President, AIMA and Chairman, Ambuja Neotia Group, welcomed the gathering. Harsh Pati Singhania, Vice President, AIMA and Vice Chairman & Managing Director, JK Paper Ltd., and Rekha Sethi, Director General, AIMA, also addressed the august gathering. This year, the Lifetime Contribution Award was presented to Azim H Premji, Chairman, Wipro Ltd. While reading his citation, Sunil Kant Munjal, Chairman, Hero Enterprise, described him as one of the world's leading philanthropists. A pioneer of India's IT revolution, he has also helped transform the global technology landscape. The Outstanding Institution Builder Award was received by Prathap C Reddy, Founder-Chairman, Apollo Hospitals Group. Dilip Cherian, Communications Consultant, political campaign advisor, political and policy professional, while reading the citation, said that under his visionary leadership, Apollo Hospitals has emerged as the foremost integrated healthcare provider in the region and touched lives of more than 150 million individuals. The Corporate Citizen Award was given to Devi Prasad Shetty, Chairman, Narayana Hrudayalaya Ltd. His citation was read by Ritu Beri, International Fashion Designer and Founder, The Luxury League. Describing him as a creative problem solver, she said that he has made healthcare accessible to the poor by subsidising their treatment. Sanjiv Mehta, Chairman and Managing Director, Hindustan Unilever Ltd., was announced as the Business Leader of the Year. Preetha Reddy, Executive Vice Chairperson, Apollo Hospitals Enterprise Ltd., while reading his citation described him as an astute and creative leader, who has transformed Hindustan Unilever into a nimble and agile organisation. Vikram Chandra, Founder, Editorji Technologies, while reading the citation for Sanjiv Bajaj, Managing Director, Bajaj Finserv Ltd., who received the Entrepreneur of the Year Award this year, said that he has transformed his inheritance of an auto finance company into a multi-faceted lender to consumers and small enterprises. Mahendra Mohan Gupta, Chairman & Managing Director, Jagran Prakashan Ltd. and Editorial Director, Dainik Jagran, was conferred with the Lifetime Contribution to Media Award. Akshay Bhalla, Partner, COO Markets and Strategy, KPMG in India, while reading the citation described him as an influential industry leader, who has shaped media measurement and governance in India. Rajkumar Hirani, Director, producer, writer and editor, was awarded Director of the Year for 'Sanju'. Rohit Bal, renowned fashion designer, while reading the citation said that he has created another masterpiece after his mega hits Munna Bhai series, 3 Idiots and PK. This year the Outstanding PSU of the Year was awarded to Indian Oil Corporation Ltd. and was received by its Chairman Sanjiv Singh. The citation was read by Shivani Wazir Pasrich, celebrity anchor, actor, director and Chairperson of the Commonwealth Cultural Forum. She said that the Indian Oil Corporation is focussed on India's energy security and has invested in 11 oil and gas assets abroad. The company has also diversified its energy imports by sourcing oil from the USA. 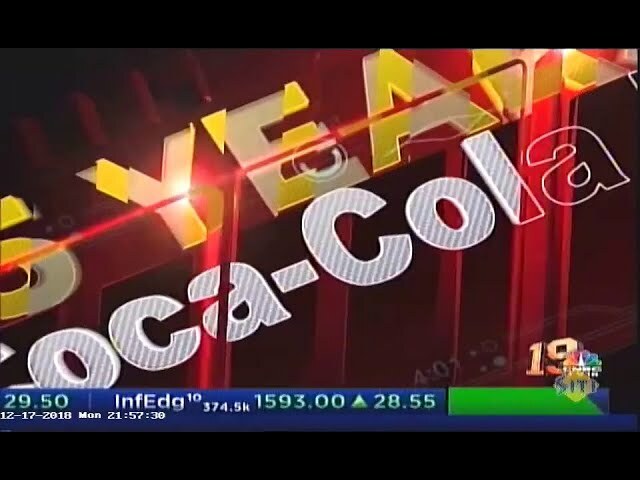 Coca-Cola India was announced as the MNC in India of the Year and T. Krishnakumar, President India & Southwest Asia, Coca-Cola, received the award. Anjolie Ela Menon, eminent contemporary artist, while reading the citation said that under his visionary leadership, his company is set to become the fifth-largest market for The Coca Cola Company worldwide. This year the Indian MNC of the Year award went to Mahindra & Mahindra Ltd. Pawan Goenka, Managing Director and Member of Group Executive Board, received the award. The company has made great strides in innovation and globalisation under the visionary leadership of Pawan Goenka, said P Balaji, Chief Regulatory and Corporate Affairs Officer, Vodafone Idea Ltd, while reading the citation. The vote of thanks was presented by Sanjay Kirloskar, Senior Vice President, AIMA and Chairman & Managing Director, Kirloskar Brothers Ltd.